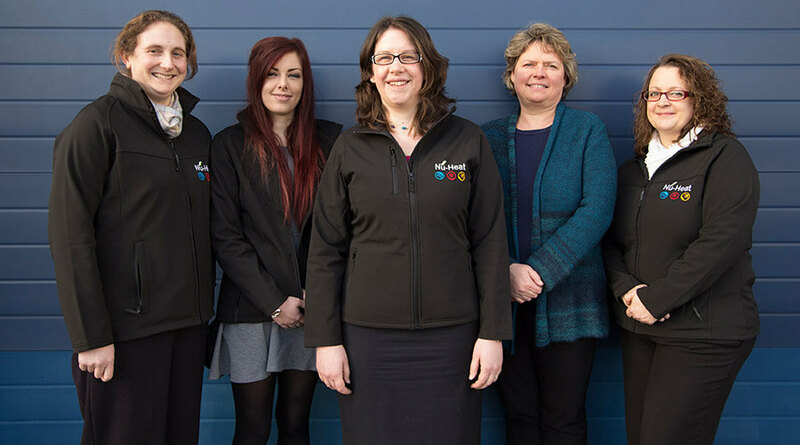 The Finance Team play an important role in Nu-Heat, ensuring all of our suppliers and employees are paid accurately and on time. They also make sure that any customer refunds are processed promptly as well as providing the company with timely and appropriate management information and analysis. In this post we speak with the team of five to find out what they like about working at Nu-Heat. Laura: I’ve been at Nu-Heat for almost 3 years. Previously I was a financial analyst at Devon and Cornwall Housing. Alex: 8 years now. I joined Nu-Heat as a Sale Ledger Co-ordinator before moving to my current role in Credit Control. Clair: 3 years, having spent the majority of my working life beforehand at the Yorkshire Building Society. Sarah: I started working at Nu-Heat over 13 years ago, having just relocated to Devon from Worcestershire. Initially I started in the Admin team as a receptionist before moving to deliveries. I joined the Finance team in early 2004. Amy: I’m new to the team and have been here for just over 3 months. What do you like about being part of Nu-Heat and the Finance Team? Sarah: The Finance team are a very close team and we are very supportive of each other which has been a great help over the years. Nu-Heat is a great place to work, everyone is friendly and helpful and the management team have always been very supportive and flexible. Alex: The staff are friendly and the Finance team are great! Clair: I like working for Nu-Heat as I feel it is a very relaxed atmosphere to work in and the family values are still present within the company. Amy: Great company to work for, everyone in the team helps each other out and there is a great atmosphere. Laura: Nu-Heat is an evolving medium size business which constantly adapts to meet customers’ needs. My role in the finance team is varied and challenging.